Nobody enjoys cleaning, but sadly it must be done. In today’s day and age, we’re always on the hunt to make our lives easier, from spending time on social media finding tips to giving our elderly relatives a call to find out their passed down DIY secrets. Flyscreens are the modern day insect isolation unit, keeping out all insects, so your home is left bug and germ-free. However, with any great product, comes great responsibility, such as the importance of maintaining its excellent quality. What does that exactly mean you ask? 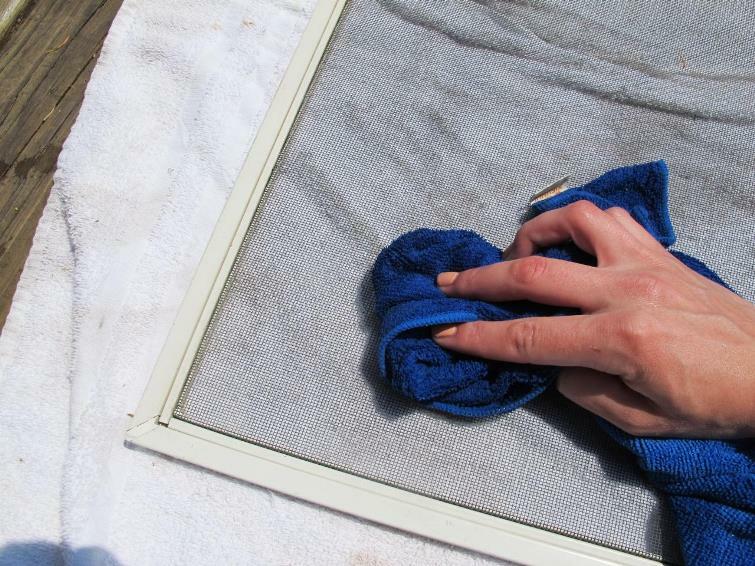 Well roll up your sleeves, put on your rubber gloves and get ready for a flyscreen spring-clean. If one does not take care of something regularly, chances are it’s not going to last long, which is why it’s crucial that your flyscreens are taken care of. The flyscreen can begin to deteriorate if one allows dust and grime to gather between the mesh. Property is always a hot topic, whether you’re buying or selling, people are always on the lookout for their next dream home. Having shiny, clean flyscreens are an impressive way to attract potential clients. Not only that, but it will also assist with heat transfer, keeping living spaces cool. Furthermore, it prevents rodents and carpenter ants from gaining access to your home and leaving unwelcoming holes in your wooden window frames. Water has a way of creeping in and then gets stuck in the dirt trapped in a screen causing foul mould to form. Without the proper care, mould could have a negative impact on your windows, as well as the flyscreens. To avoid any future problems, make sure it’s cleaned at least once a week. Use a duster or cloth to remove particles that are trapped between the mesh. 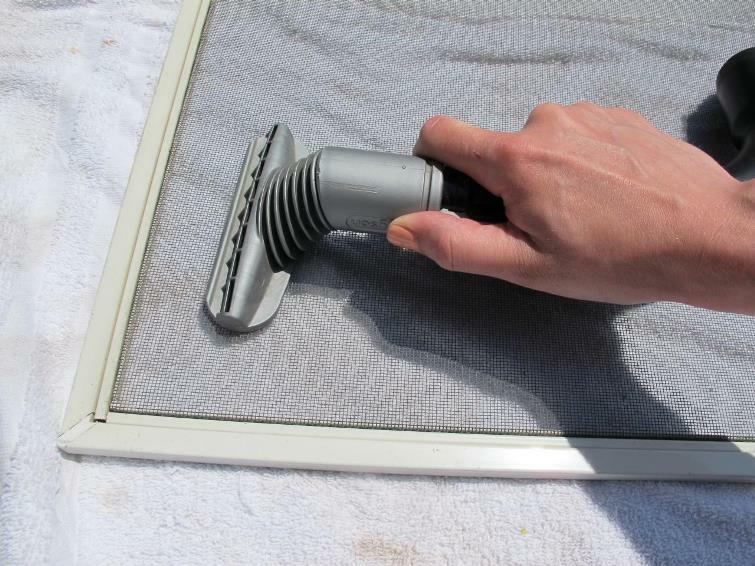 Do not use a lot of pressure when cleaning, to avoid damaging your flyscreens. Another clever trick you could try is using a little masking tape or a lint roller. It’s not just for clothing! Vaccum cleaners are not just for carpets. Try it on your flyscreens. Place it gently on the flyscreen and run it lightly over the mesh, being careful not to stretch and damage the screen. If you aren’t 100% sure about your method, try it out on a small section first, to avoid damage. Add the dishwashing liquid to the bucket of water and mix well. Use the garden hose to wet the flyscreens. Use the scrubbing brush and lightly scrub away any grime with the soapy water. Don’t scrub hard as it could cause the screen to tear. Wipe the screens with the cloth, rinse and allow the flyscreens to dry. Once dry, place the screens back on the windows. Purchasing flyscreens is just the first step in your investment, the second part entails making sure it’s always in tip-top shape. Enjoy years of carefree use of your screens with these simple, practical methods. This entry was posted in Flyscreens and tagged flyscreen, flyscreen supreme, Flyscreens.